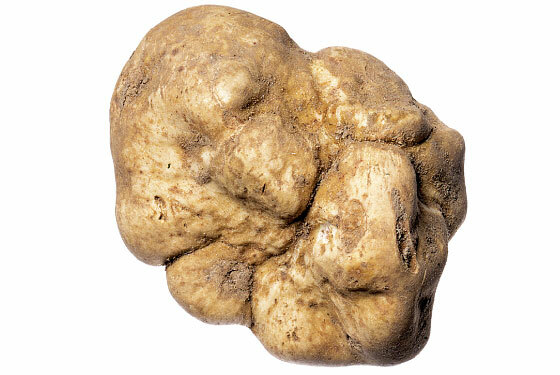 If you’ve been following the reports from Alba, Italy—and what upstanding member of the foodie community hasn’t?—you know that, so far, it’s been a pretty bleak season for white truffles, a.k.a., Tuber magnatum pico, a.k.a., the food of the gods. The good news is that despite record-breaking prices, quality may be on the upswing. “The feeling is that now the crop is coming around,” says restaurateur and Italian foods expert Tony May. Still, if you’re not a god (or an Italian-foods expert), and you can’t afford to buy your own truffle (from $3,000 to $5,200 a pound at the retailers we checked last week), or even a white-truffle-enhanced $270 baked potato at The Four Seasons, what can you do? The answer is the New York truffle share, the foodie equivalent of the Hamptons summer share. That’s what Jane Walsh, director of public relations for the Chefs’ Warehouse, a Bronx-based specialty-foods distributor, recommends. For the past three years during peak season, Walsh has bought a one-ounce white truffle from her employer (she gets it at cost, but that still isn’t cheap), carefully bundles it up in an iced-down Styrofoam box, and gently places it in the back seat of her Volvo wagon. From there, she drives to the Italian restaurant Noodle Pudding in Brooklyn Heights, collecting her truffle-share crew of three along the way. Once they’re seated with plates of fresh pasta placed before them, a truffle shaver is ceremoniously plucked from a purse, and the truffle-share ladies begin furiously shaving down the musky little lump, to the envious stares and uncontrollable sniffs of their fellow diners.